Everyone’s always looking for ways to eat healthier. So why is it such a hard thing to do? See, you can only eat so many calories in a day. Think of it as a nutritional checking account. You want to spend as wisely – get as much “bang for your buck,” if you will – as you can. Thankfully, there are a great number of foods that give you just what you need to be healthy and fit, without breaking the caloric bank. Below, you’ll find fifteen such foods, as well as my suggestions on how to include them in your diet in ways that’ll be both tasty and healthy. You could probably call this category “poultry,” but chicken breast is the best that you can find in this category. The term “lean meat” gets tossed around a lot when it comes to what people should eat, but what does that mean, exactly? First, it means low in fat, and while fat isn’t inherently a bad thing (I’ll get to that later in this article), meats that are low in fat are great because they’re almost entirely protein. The benefits of protein are many, though the most commonly cited benefit is building muscle. And yet, that’s not all that protein is good for. Protein’s many functions can be summed up as “building blocks.” It helps build many important things in your body! Beyond muscle, protein also serves as a building block for bones, cartilage, and skin, which are all important connective tissues that hold your body together and keep your joints healthy and strong. Protein is also a building block for your blood, making sure that important nutrients get transported where they need to go, as well as for your enzymes and hormones, which serve a ton of important health functions in your body by making sure different systems work properly – from your immune system to your digestive system! 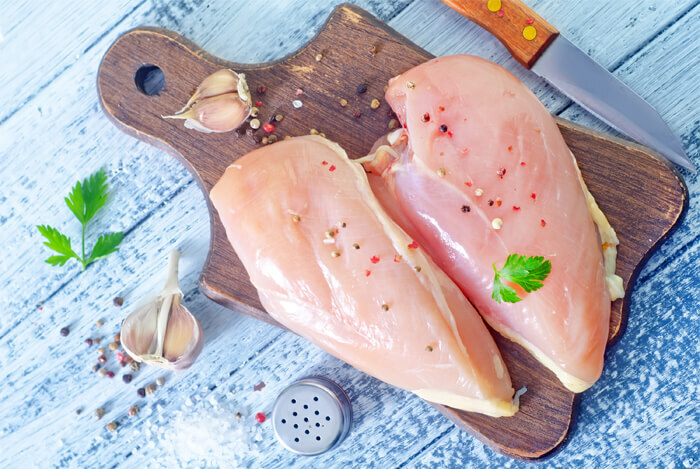 Chicken breast gets all the talk about protein because it’s such a great source of it; in fact, 84% of the calories in chicken breast come from protein! The high amount of protein and low fat means you know exactly what you’re getting with this food. Foods high in protein and low in fat are inherently low in calories, which is a sure sign of a food that’s giving you a big bang for your nutritional buck. Oh, and did I mention there are about a million different ways to prepare chicken breast? You can grill it, bake it, fry it, saute it – there are myriad marinades you can flavor it up with. Chicken breast tastes great chopped up and put in a burrito or tacos, or in a stir fry with veggies. Try as many different recipes as you can and discover your favorites! If you like to eat breakfast, start your day with a healthy breakfast that includes a serving of protein. As we established earlier in the chicken breast section, protein is monumentally important. Eggs are awesome in the protein department, as a single large Grade A egg has 6 grams of protein. With breakfast being such an important meal, and protein so important to every meal, starting your day with eggs should be a no-brainer. Eggs are also low in calories, and have tons of healthy fats. Healthy fats are also great for your skin, hair, and eyes, and aid in muscle and bone health. 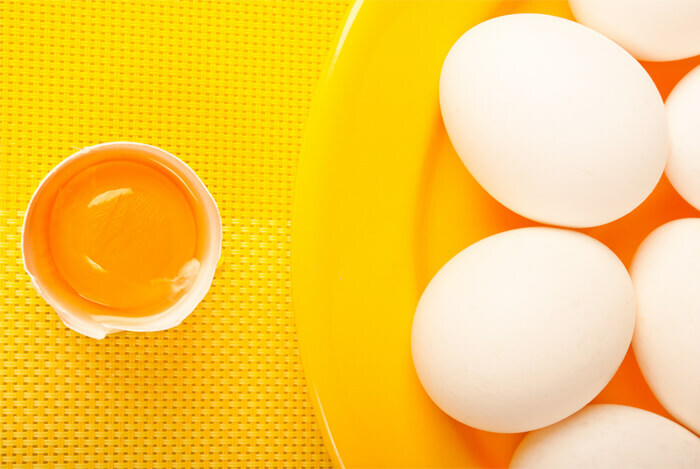 Egg yolks are where nearly all of the fat in an egg is located.. Whole eggs are the best way to go if you want to get all of the benefits associated with eggs. That doesn’t just include protein and fat, but also six different vitamins (A, B2, B5, B12, D, and E, if you were wondering), iron (really important for healthy blood), iodine (helps out your thyroid), biotin (hair, skin, and immune system health), choline (metabolism and liver function), folic acid (not the deadly kind of acid, fortunately), phosphorus (helps keep your teeth pearly white), and selenium (your immune system and thyroid). Whoa. That’s a big list of health benefits. If you need more reasons than that to eat eggs, well, I do have one more: they taste great, and there are tons of ways to cook and serve them. I personally prefer scrambling them, though omelets are great too, folded over with cheese and ham or turkey. You can scramble them up with veggies, hard-boil them, or serve them sunny side up. Fry an egg or two and add it to a sandwich. Like with chicken breast, try many different ways of cooking and eating eggs, and find what you like the most. Salmon, like eggs and chicken breast, is a great source of protein. It’s also high in healthy fat, like eggs, but there’s a term that is often associated with seafood (like salmon). You might be familiar with it: omega-3. Omega-3 fatty acids are the ultimate in healthy fats. And the reason seafood gets the most attention for having omega-3s is because they typically have the highest amounts of it. The main thing you need to know about omega-3s is that they’re amazing for heart health. If that isn’t enough for you, there’s also the fact that omega-3s contribute to healthy skin, hair, and eyesight. While eggs have omega-3s as well, eating seafood (fish or some of the other suggestions I’ll make later on) once or twice a week will really give you the bang for your nutrition buck. Salmon, unfortunately for some, can have a very “fishy” taste to it. Not to worry! 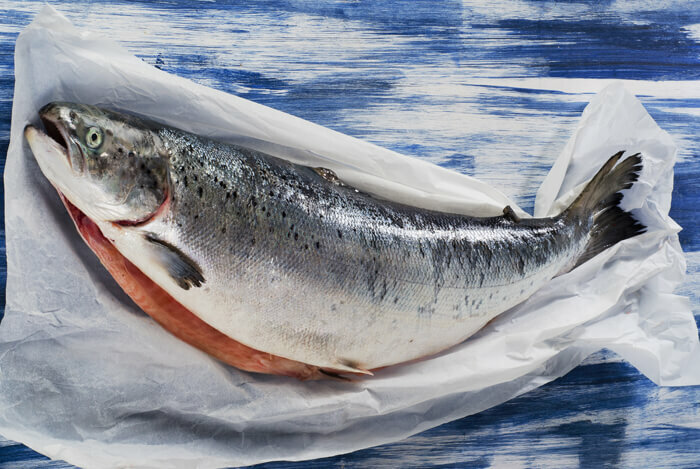 If you aren’t a fan of salmon, some other great fish to try include trout, mackerel, and herring. Fish also lends itself well to a variety of seasonings, so layer on the garlic, oregano, or any of your other favorite herbs and spices to help give it the taste you desire. Wondering why I specified “dairy” milk? 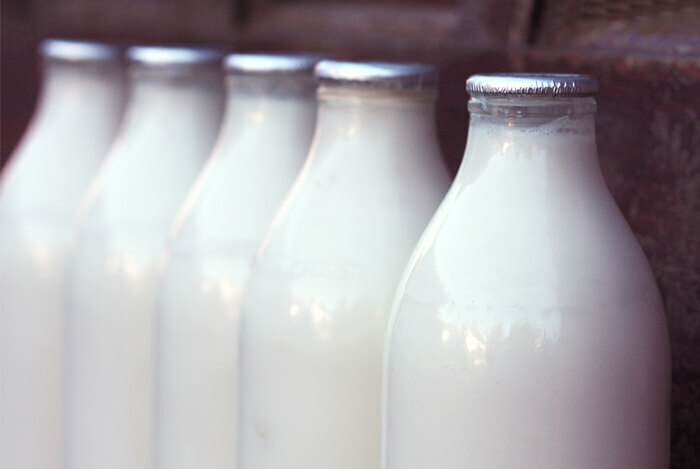 Dairy products contain calcium, which is an important factor in guaranteeing healthy bones and teeth. But you can get calcium from supplements, and from soy and almond milk. So why the dairy qualifier? 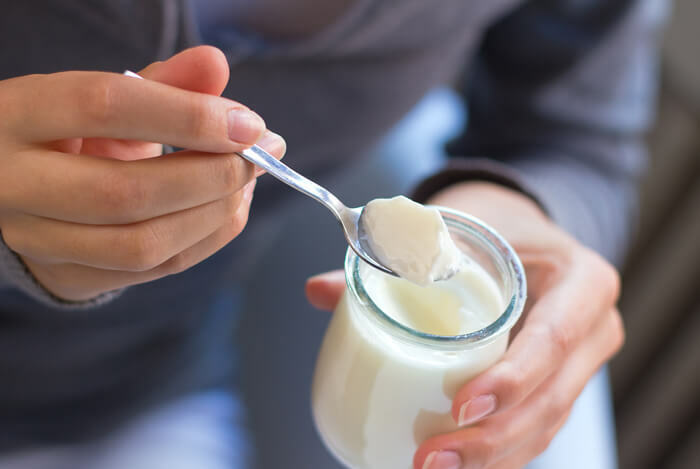 Dairy products are especially high in calcium bioavailability, a fancy term for how much of the calcium in your food can actually be used by your body. Soy and almond milk are fortified with calcium – calcium is added from non-dairy sources. Dairy products, instead, have calcium naturally available in high amounts, and the majority of it is easily accessible for your body. That’s not to mention that dairy milk is also much higher in protein than soy and almond milk. Lactose intolerance is, of course, a common factor that determines why people do or don’t drink milk. If you have lactose intolerance, don’t worry – I have a solution for you later on. You may have been wondering – if dairy is so important, couldn’t I just eat yogurt rather than drinking milk? Yes, you absolutely could. Greek yogurt is an amazing alternative, and that’s for reasons you can probably guess from my earlier entries in this list. First of all, you guessed it. Greek yogurt has more than double the protein of regular yogurt (15-20 grams versus just 9 grams for regular yogurt). One thing you’re likely to notice with Greek yogurt, though, is that it can sometimes have an odd taste to it. I’ve noticed it as well, and that’s why it’s important to shop the brands and flavors and find what suits your taste buds the best. My favorite is vanilla Oikos Greek Yogurt, from Dannon. It’s extra smooth and doesn’t have the strange aftertaste that I’ve found a lot of Greek yogurt brands have. Give it a try and see for yourself! We’ve talked about fish like salmon, but what about crustaceans? I headlined this section with shrimp because it’s my favorite choice, but lobster, king crab, and other shellfish like clams and oysters all fit into a similar category. 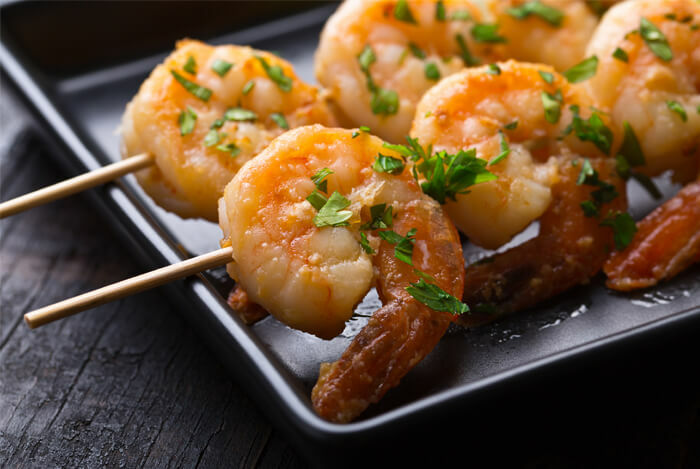 The reasons for eating shrimp and other types of shellfish are very similar to eating fish. There’s the abundance of omega-3s and the high protein count, but there’s more to it than that. Shellfish have also been shown to be great sources of zinc, an important mineral that covers a laundry list of bodily functions. Shellfish also come in a huge variety and there are many ways to cook and eat them! Cook them, fry or deep-fry them, bake them, saute them, or throw them in a stir fry with some vegetables. Shrimp, clams, and oysters also make great hors d’oeuvres when served on the side of a meal. If you have lactose intolerance, here’s your solution to ensuring you get the proper amount of calcium every day. There are actually several different milk alternatives out there, the most prominent being almond milk. So why do I choose almond milk? 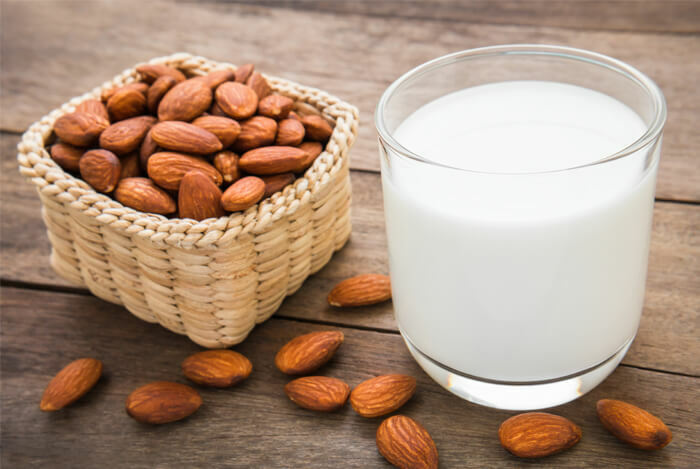 A nice bonus to almond milk is that it has about half the calories of skim milk, but again, dairy milk is the ultimate source of calcium, so don’t avoid it if you don’t have to. Since we’re on the topic of almond milk, let’s talk about one of its main ingredients: the almonds themselves. Almonds, and many other nuts (walnuts, peanuts, pecans, and more!) are loaded with healthy fats. 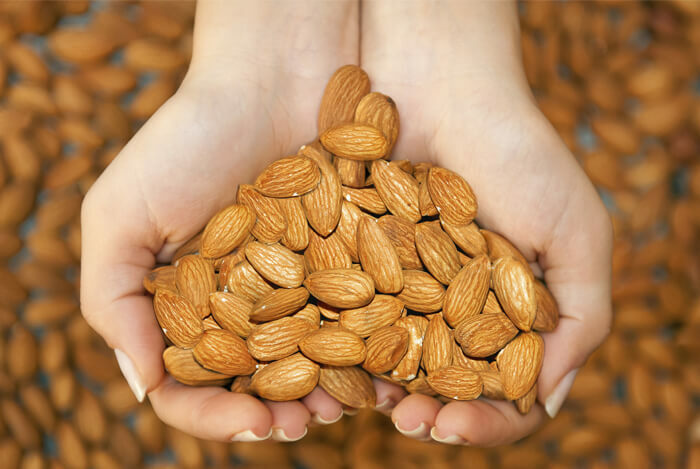 Beyond that, almonds also are plentiful in wonderful nutrients like biotin, phosphorus, vitamin E, and fiber. They make a very filling and healthy snack, and, if you’re as busy as I am, you’ll love that there’s no preparation involved in eating them. So keep some in a plastic bag or small plastic container and have them nearby for when you get hungry between meals. Whether as a snack, a topping or a side dish, these nutritional powerhouses will pack a major punch! There’s a reason horses are so darn healthy and fit, and I wouldn’t hesitate to chalk it up to a diet of oats. Oats are so full of health benefits it’s ridiculous more people don’t eat them! Until you realize… they’re not exactly the tastiest of cereals around. You can enjoy oats with yogurt (Greek yogurt, remember?) and fruit. I like strawberries and blueberries, personally. Just throw it all together and eat with a spoon. You can also stir oats with milk, heat it up (microwave or boil the milk over the stove before mixing), and then add fruit or spice it up with cinnamon (one of my favorite spices). 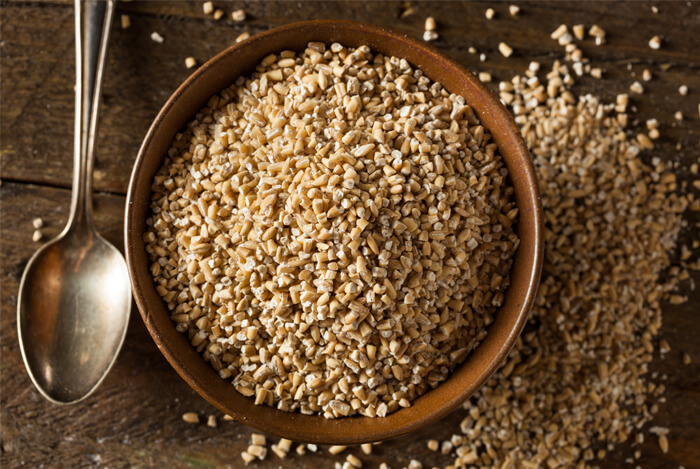 Eaten hot or cold, these should give you some tasty solutions for making oats delicious and nutritious. No, French fries don’t count. No, not potato chips, either. I’m talking the real deal here. 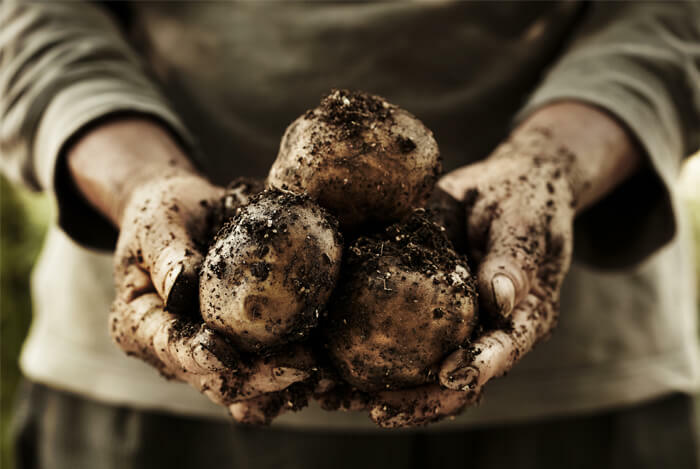 Potatoes are a great source of vitamin B6 (which offers tons of health benefits, including boosting your brain and nervous system health), and a fairly good source of vitamin C, potassium, and dietary fiber (among others). Leafy greens, from lettuce to broccoli, and from spinach to the grass in your front lawn (kidding on that last one), are stacked with health benefits – and kale is the king of this majestic group. 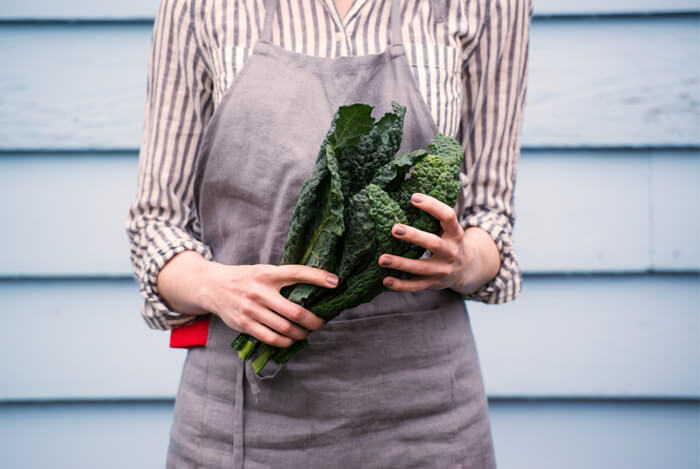 Going above and beyond the call of duty in terms of vitamin C, vitamin A, vitamin K1, and a number of healthy minerals, kale dominates when it comes to health benefits. Great in a salad (but what leafy green isn’t? ), soup, on a sandwich or burger, or in a smoothie, there are a great many ways to have kale in your diet. Personally, I’m not big on salads, but putting it on a homemade breakfast sandwich with eggs and cheese makes a fantastic start to my day. Try it out sometime! Here’s one of my favorite groups of food: fruit. And blueberries might just be one of the best of these fruits, mainly because of how high in antioxidants they are. 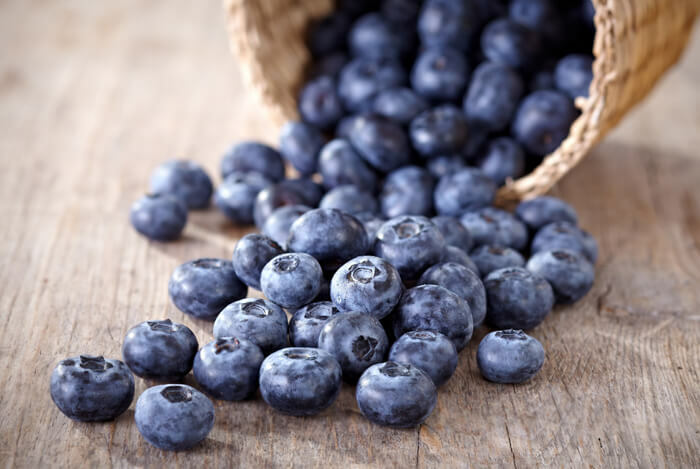 Antioxidants come in multiple types, and not only do blueberries have high amounts of these powerful compounds, they also have multiple types of antioxidants. The health benefits of these intriguing substances are amazing, from improving memory to lowering blood pressure to even, in some animal studies, possibly fighting cancer. Besides blueberries, most fruits are great additions to your daily diet. Smoothies are amazing ways of getting more fruit. Combine Greek Yogurt, milk, blueberries, strawberries, and half a banana in a blender and you have a delicious – and highly nutritious – smoothie for breakfast or the middle of the day when you need an energy boost. Experiment with different fruit and fruit combinations, with smoothies and in fruit salads, finding your favorite combinations. I personally try to have strawberries, blueberries and bananas every day. Ah, spices. 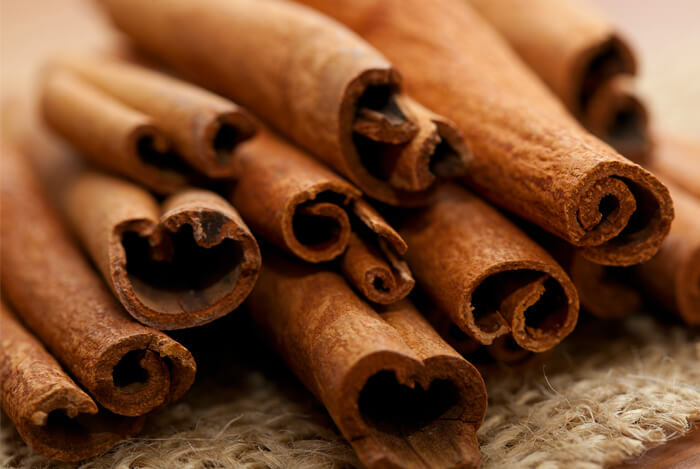 Quite a few foods listed above can be rather bland by themselves, which is part of what makes spices such an important part of a healthy diet. But there are two spices that are very beneficial beyond just taste, and the first of these is garlic. 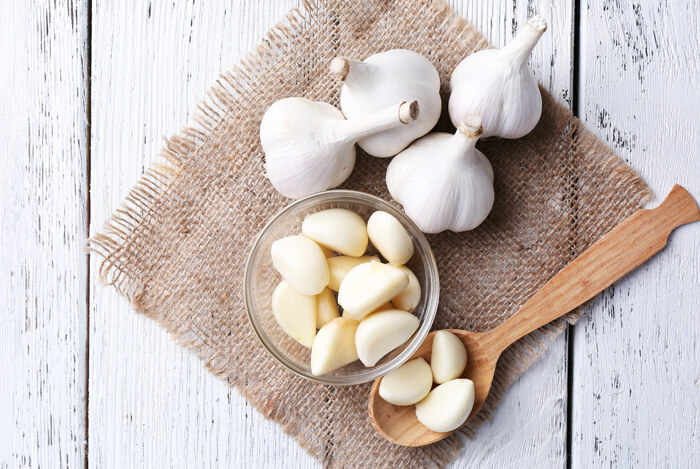 Garlic has been shown to reduce lung cancer risk, reduce risk of osteoarthritis, reduce blood pressure, and help fight multiple types of cancer. That’s amazing, right? And it’s so easy to add garlic to your diet. Crush it up and sprinkle it onto chicken or fish, or even eggs if you like it (I don’t, but it’s worth a try). Try it over salads, or as a tiny pinch added to a smoothie (you won’t even taste it if you get the amount right). That’s the wonder of spices – they can be used in small amounts here and there to great benefit, even if you can’t taste them. This second spice is a favorite of mine, probably because of my childhood. I used to have toast with butter, cinnamon, and sugar almost every morning for breakfast. Try it on different things and see what you like. What better way to end a list of healthy foods than with a sweet spot of indulgence? I talked earlier about the multitude of health benefits from antioxidants, but something may surprise you. Dark chocolate (with a high cocoa content, think 70%) has a greater amount of antioxidants even than blueberries – a food renowned for its antioxidant content. As if I needed to sell you on dark chocolate! But let’s pretend I do, and add to the insane antioxidants the fact that dark chocolate also has great amounts of fiber, iron, and magnesium. Bet you didn’t expect that, huh? Just don’t overindulge. 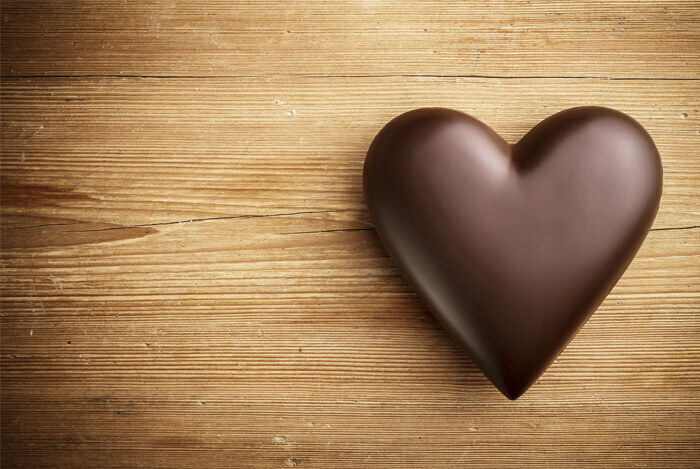 Despite its health benefits, dark chocolate can still be high in calories. The great thing is, even a small square carries all the health benefits listed above. Whether you need a pick-me-up in the middle of the day, or want to end your day on a high note, indulge in a square of delicious dark chocolate. Much like this list, the key to a healthy and enjoyable daily diet is variety. Combine different items above in interesting ways. Try new spices and cooking methods. And if some of the items on this list are things you’ve never tried before, take this as an opportunity to try something new! You nutritional checking account will thank you.